What would you do if a prospect asked to see your writing portfolio right now? In the perfect world, you’d point them to a link that shows off your best work. Why? Every potential client wants to see samples of your writing to find out if you’re the right fit. You’ve got an online writing portfolio, right? If you’re laughing nervously now because you don’t, or you have one but you know it needs help, that’s OK. I’m going to show you how to create one. 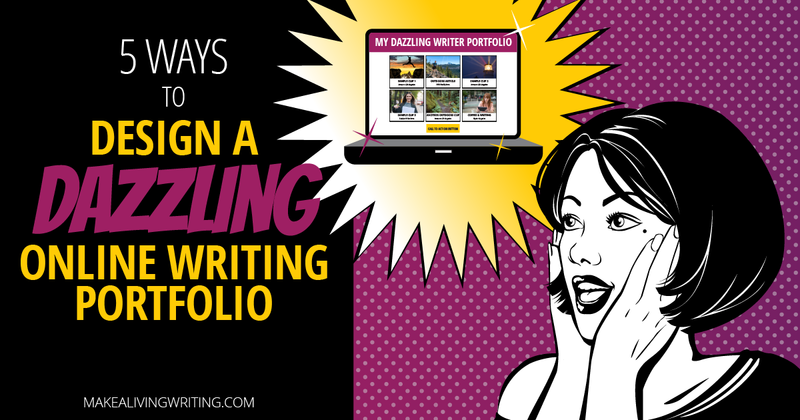 Your writing portfolio is one of your most important marketing tools to attract and impress potential clients. Point a prospect to your portfolio, and you want to capture their attention with an attractive and appealing design and great writing so they hire you. If your writing portfolio is confusing or uninviting, the prospect might click away and never return. And it doesn’t have to be that way.